Even though I'm not very familiar musically with The Road Vikings I have been looking forward to this release for some months now as bassist Lisa Tonra has been keeping me regularly updated with progress reports. I purposefully stopped myself from checking out previous material because I wanted a completely fresh perspective when this album dropped through my door and I'm glad I did do that because 'Requiem Of An Outlaw Biker' has quite literally stopped me in my tracks. I honestly didn't think it would be this good! 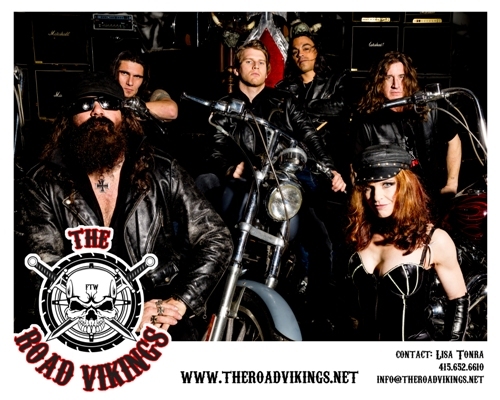 Based in Oakland, California, The Road Vikings look like they are going to be a pure Southern Hard Rock Biker Band, even the cover art screams it. Of course there is nothing wrong with that but, what I wasn't expecting was that genre mixed with a huge European vs US almost Power Metal sound to come thumping through my speakers. Some people think its lazy of reviewers to use an 'X meets Y' stance when writing about albums but I see it as way of introducing prospective listeners to a bands output, so, with that in mind if you mix Texas Hippie Coalition & Molly Hatchet with Judas Priest, Iced Earth, Dream Evil and little bits of Megadeth you'll sort of get where I'm coming from. Add to that some of the best neoclassical guitar shredding I've heard in many years then fans of Marty Friedman, Tony MacAlpine, Jason Becker, Greg Howe etc are going to love this. In fact it was no surprise to learn that The Road Vikings band leader, vocalist, guitarist and songwriter Dan Bryant was once a member of the Friedman/Becker collaboration Cacophony (A band I've always loved)! It's not all shredding though. Dan has a great voice and also plays a mean Harmonica. Add to that two further guitarists in Brian Rountree and Aaron Brown, the ultra heavy bass lines and support vocals of Lisa and drumming of Jimmy Wells and you have a hugely talented lineup. What's more every song on 'Requiem Of An Outlaw Biker is catchy as hell. Check out the Southern Rock style title track (YouTube link provided below) or the huge Judas Priest/Halford influence on 'The Road To Valhalla' for proof of that. The Road Vikings really do seem to have stumbled upon a unique sound, which in this day and age, is a very unusual occurrence. They would go down a storm supporting Down or Crowbar in Louisiana equally as well as playing with Blind Guardian, Rage or Grave Digger in Germany. It sounds like such an odd combination but works perfectly and is a complete breath of fresh air! 'Requiem' also has a cracking production and mix and the packaging is high quality! I've just returned from the UK's best Festival 'Bloodstock Open Air' and many of us are already talking about possible bands to play in 2015. 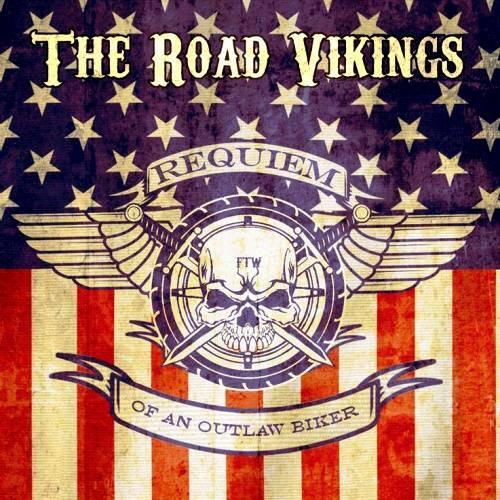 The Road Vikings have just gone straight to the top of my list and 'Requiem Of An Outlaw Biker' is going to be on heavy rotation in this house. I cannot stop smiling every time I play this and surely that's got to mean something. Brilliant!